Please Ensure that you are set to view English to see this chart as Bilingual. Due to the high level of interest in this law, please refrain from making changes to the translation. 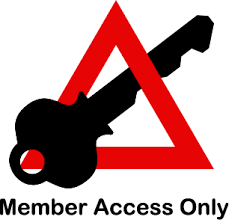 This "members only" version, usually restricted to active community members, will remain unlocked for 1 week. "Foreign" as used in the translation includes Taiwan, Hong Kong, and Macao. 第一条　为了规范、引导境外非政府组织在中国境内的活动，保障其合法权益，促进交流与合作，制定本法。 Article 1: This Law is drafted in order to regulate and guide activities conducted by foreign NGOs within mainland China, safeguard their lawful rights and interests, and promote exchanges and cooperation. 第二条 境外非政府组织在中国境内开展活动适用本法。 Article 2: This law applies to foreign NGOs carrying out activities within mainland China. 本法所称境外非政府组织，是指在境外合法成立的基金会、社会团体、智库机构等非营利、非政府的社会组织。 "Foreign NGOs" as used in this law refers to not-for-profit, non-governmental social organizations lawfully established outside mainland China, such as foundations, social groups, and think tank institutions. 第三条境外非政府组织依照本法可以在经济、教育、科技、文化、卫生、体育、环保等领域和济困、救灾等方面开展有利于公益事业发展的活动。 Article 3: In accordance with this law, foreign NGOs may conduct activities beneficial to the development of the public welfare in fields such as economics, education, science, culture, health, sports, and environmental protection, and for areas such as poverty relief and disaster relief. 第四条 境外非政府组织在中国境内依法开展活动，受法律保护。 Article 4: Foreign NGOs lawfully carrying out activities within mainland China receive the protection of law. 第五条境外非政府组织在中国境内开展活动应当遵守中国法律，不得危害中国的国家统一、安全和民族团结，不得损害中国国家利益、社会公共利益和公民、法人以及其他组织的合法权益。 Article 5: Foreign NGOs carrying out activities within mainland China shall abide by Chinese laws, must not endanger China's national unity, security, or ethnic unity; and must not harm China's national interests, societal public interest and the lawful rights and interests of citizens, legal persons and other organizations. 境外非政府组织在中国境内不得从事或者资助营利性活动、政治活动，不得非法从事或者资助宗教活动。 Foreign NGOs within mainland China must not engage in or fund for-profit activities or political activities, and must not illegally engage in or fund religious activities. 第六条 国务院公安部门和省级人民政府公安机关，是境外非政府组织在中国境内开展活动的登记管理机关。 Article 6: The public security department under the State Council and the public security organs of provincial level people's governments are the registration management organs for foreign NGOs carrying out activities within mainland China. 国务院有关部门和单位、省级人民政府有关部门和单位，是境外非政府组织在中国境内开展活动的相应业务主管单位。 The relevant departments and units under the State Council and the relevant departments and units of provincial level people's governments are the professional supervisory units for foreign NGOs carrying out activities within mainland China. 第七条 县级以上人民政府公安机关和有关部门在各自职责范围内对境外非政府组织在中国境内开展活动依法实施监督管理、提供服务。 Article 7: Within the scope of their professional duties, the public security organs and relevant departments of people's governments at the county level or above carry out supervision and management of the activities of foreign NGOs within mainland China, and provide services. 国家建立境外非政府组织监督管理工作协调机制，负责研究、协调、解决境外非政府组织在中国境内开展活动监督管理和服务便利中的重大问题。 The State establishes a coordination mechanism for efforts to supervise and manage foreign NGOs, responsible for research, coordination, and resolution of major issues in the supervision and management and facilitation and service for foreign NGOs carrying out activities in mainland China. 第八条 国家对为中国公益事业发展做出突出贡献的境外非政府组织给予表彰。 Article 8: The State will give commendations to foreign NGOs that provide outstanding contributions to the development of China's public welfare. 第九条境外非政府组织在中国境内开展活动，应当依法登记设立代表机构；未登记设立代表机构需要在中国境内开展临时活动的，应当依法备案。 Article 9: Foreign NGOs carrying out activities within mainland China shall lawfully register and establish representative offices; where foreign NGOs that have not registered and established representative offices need to carry out temporary activities within mainland China, they shall file and record [file] it in accordance with law. 境外非政府组织未登记设立代表机构、开展临时活动未经备案的，不得在中国境内开展或者变相开展活动，不得委托、资助或者变相委托、资助中国境内任何单位和个人在中国境内开展活动。 Foreign NGOs that have not registered and established representative offices or filed to carry out temporary activities must not carry out or covertly carry out activities within mainland China, and must not entrust or fund, or covertly entrust or fund, any unit or individual in mainland China to carry out activities within mainland China. （五）法律、行政法规规定的其他条件。 (5) Other requirements provided for in other laws or administrative regulations. 第十一条 境外非政府组织申请登记设立代表机构，应当经业务主管单位同意。 Article 11: Foreign NGOs applying to register and establish a representative office shall obtain the consent of a professional supervisory unit. 业务主管单位的名录由国务院公安部门和省级人民政府公安机关会同有关部门公布。 The Public Security Department under the State Council and the public security organs of provincial level people's governments, together with the relevant departments, shall publish a directory of professional supervisory units. （七）法律、行政法规规定的其他文件、材料。 (7) Other documents and materials provided for by law or administrative regulations. 登记管理机关审查境外非政府组织代表机构设立申请，根据需要可以组织专家进行评估。 Registration management organs reviewing the applications of foreign NGOs to set up representative offices may organize experts to conduct assessments as needed. 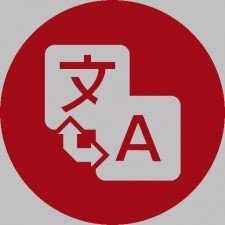 登记管理机关应当自受理申请之日起六十日内作出准予登记或者不予登记的决定。 Registration management organs shall issue a decision to authorize or not authorize within 60 days of receiving an application. （六）业务主管单位。 (6) Professional supervisory unit. 境外非政府组织代表机构凭登记证书依法办理税务登记，刻制印章，在中国境内的银行开立银行账户，并将税务登记证件复印件、印章式样以及银行账户报登记管理机关备案。 Foreign NGO representative offices use their registration certificate to handle tax registration, have an official seal made, and establish an account at a bank within mainland China, and are to give a copy of their tax registration certificates, a sample of their official seal, and bank account numbers to the registration management organs for filing. 第十四条 境外非政府组织代表机构需要变更登记事项的，应当自业务主管单位同意之日起三十日内，向登记管理机关申请变更登记。 Article 14: Where foreign NGO representative offices need to modify items in their registrations, they shall apply to modify the registration with the registration management organs within 30 days of obtaining the consent of the professional supervisory unit. （四）由于其他原因终止的。 (4) Where the foreign NGO is terminated for other reasons. 境外非政府组织代表机构注销登记后，设立该代表机构的境外非政府组织应当妥善办理善后事宜。 境外非政府组织代表机构不具有法人资格，涉及相关法律责任的，由该境外非政府组织承担。 After foreign NGOs representative offices are de-registered, the foreign NGOs that established the representative offices shall properly handle any resulting matters. Foreign NGO representative offices do not have standing as legal persons, and the foreign NGO bears related legal responsibility. 第十六条境外非政府组织未在中国境内设立代表机构，在中国境内开展临时活动的，应当与中国的国家机关、人民团体、事业单位、社会组织（以下称中方合作单位）合作进行。 Article 16: Where foreign NGOs that have not established a representative office in mainland China carry out temporary activities within mainland China, they shall cooperate with state organs, mass organizations, public institutions, or social organizations (hereinafter "Chinese Partner Units") to do so. （六）法律、行政法规规定的其他文件、材料。 (6) Other documents and materials provided by law or administrative regulations. 在赈灾、救援等紧急情况下，需要开展临时活动的，备案时间不受前款规定的限制。 Where temporary activities must be carried out in emergency situations such as disaster relief or rescues, the time period for filing is not subject to the restrictions provided for in the preceding paragraph. 临时活动期限不超过一年，确实需要延长期限的，应当重新备案。 The period for temporary activities is not to exceed 1 year, and where there is truly a need to extend the period, a new filing shall be made. 登记管理机关认为备案的临时活动不符合本法第五条规定的，应当及时通知中方合作单位停止临时活动。 Where the registration management organs find that filed temporary activities do not meet the requirements of Article 5 of this Law, they shall promptly notify the Chinese Partner Unit to stop the temporary activities. 第十八条 境外非政府组织代表机构应当以登记的名称，在登记的业务范围和活动地域内开展活动。 Article 18: Foreign NGO representative offices shall carry out activities in their registered name, and within their registered operational scope and region. 境外非政府组织不得在中国境内设立分支机构，国务院另有规定的除外。 Foreign NGOs must not establish branch organizations within mainland China, except as otherwise provided by the State Council. 第十九条境外非政府组织代表机构应当于每年12月31日前将包含项目实施、资金使用等内容的下一年度活动计划报业务主管单位，业务主管单位同意后十日内报登记管理机关备案。 特殊情况下需要调整活动计划的，应当及时向登记管理机关备案。 Article 19: Representative offices of foreign NGOs shall send an activity plan for the following year, including project implementation, use of funds and other such content to the professional supervisory unit before December 31 of each year; and report it to the registration management organs for filing within 10 days of the professional supervisory unit having consented. Where special circumstances require an adjustment of the activity plan, this shall be promptly filed with the registration management organs. 第二十条 境外非政府组织在中国境内开展活动不得对中方合作单位、受益人附加违反中国法律法规的条件。 Article 20: Foreign NGOs carrying out activities inside mainland China must not make requirements of Chinese Partner Units or beneficiaries that violate the laws and regulations of China. 境外非政府组织在中国境内活动不得取得或者使用前款规定以外的资金。 Activities of foreign NGOs within mainland China must not use funds other than those provided for in the preceding paragraph. 境外非政府组织及其代表机构不得在中国境内进行募捐。 Foreign NGOs and their representative offices must not fundraise within mainland China. 第二十二条 设立代表机构的境外非政府组织应当通过代表机构在登记管理机关备案的银行账户管理用于中国境内的资金。 Article 22: Foreign NGOs that have established representative offices shall use funds from the bank account within mainland China that is recorded with the registration management organs. 开展临时活动的境外非政府组织应当通过中方合作单位的银行账户管理用于中国境内的资金，实行单独记账，专款专用。 Foreign NGOs carrying out temporary activities shall use their Chinese Partner Unit's bank account to manage and use funds in mainland China, perform independent bookkeeping, and use funds only as they are allocated. 未经前两款规定的银行账户，境外非政府组织、中方合作单位和个人不得以其他任何形式在中国境内进行项目活动资金的收付。 Foreign NGOs, Chinese Partner Units, and individuals must not use any other model to receive and spend funds for project activities inside mainland China other than in bank accounts provided for in the preceding two paragraphs. 第二十三条 境外非政府组织应当按照代表机构登记的业务范围、活动地域或者与中方合作单位协议的约定使用资金。 Article 23: Foreign NGOs shall use funds in accordance with the registered scope of operations and activity regions for their representative offices or their agreements with Chinese Partner Units. 第二十四条境外非政府组织代表机构应当执行中国统一的会计制度，聘请具有中国会计从业资格的会计人员依法进行会计核算。 财务会计报告应当经中国境内会计师事务所审计。 Article 24: Foreign NGO representative offices shall implement China's unified accounting system, hiring accountants with Chinese professional certifications to carry out accounting in accordance with law. Financial accounting reports shall be audited by mainland Chinese accounting firms. 第二十五条 境外非政府组织在中国境内开展活动，应当按照中国有关外汇管理的规定办理外汇收支。 Article 25: Foreign NGOs carrying out activities within mainland China shall make wire transfers in accordance with China's relevant provisions on regulation of foreign exchanges and payments. 第二十六条 境外非政府组织代表机构应当依法办理税务登记、纳税申报和税款缴纳等事项。 Article 26: Foreign NGO representative offices shall handle matters such as tax registration, tax declarations, and payment of taxes in accordance with law. 第二十七条境外非政府组织代表机构在中国境内聘用工作人员应当遵守法律、行政法规，并将聘用的工作人员信息报业务主管单位和登记管理机关备案。 Article 27: Foreign NGO representative offices hiring employees in mainland China shall follow laws and administrative regulations, and report information on employed personnel to the professional supervisory units and registration management organs. 第二十八条 境外非政府组织代表机构、开展临时活动的境外非政府组织不得在中国境内发展会员，国务院另有规定的除外。 Article 28: Foreign NGO representative offices and foreign NGOs carrying out temporary activities must not develop membership within mainland China, except as provided by the State Council. 第二十九条 境外非政府组织代表机构应当设一名首席代表，可以根据业务需要设一至三名代表。 Article 29: Foreign NGO representative offices shall establish a chief representative, and may establish 1-3 representatives as required for operations. （四）法律、行政法规规定的其他情形。 (4) Other situations provided for by law or administrative regulations. 第三十条 开展临时活动的境外非政府组织，应当以经备案的名称开展活动。 Article 30: Foreign NGOs carrying out temporary activities shall carry out activities using the name on their filings. 境外非政府组织、中方合作单位应当于临时活动结束后三十日内将活动情况、资金使用情况等书面报送登记管理机关。 Foreign NGOs and Chinese Partner Units shall send written reports to the registration management organs, on areas such as the state of activities and the use of funds, within 30 days of concluding temporary activities. 第三十一条境外非政府组织代表机构应当于每年1月31日前向业务主管单位报送上一年度工作报告，经业务主管单位出具意见后，于3月31日前报送登记管理机关，接受年度检查。 Article 31: Foreign NGO representative offices shall file annual work reports to professional supervisory units before January 31 each year, and after the professional supervisory units issue comments, send the reports to the registration management organs before March 31 for annual inspections. 年度工作报告应当包括经审计的财务会计报告、开展活动的情况以及人员和机构变动的情况等内容。 Annual work reports shall include content such as audited financial accounting reports, and reports on the situation of activities as well as personnel or institutional changes. 境外非政府组织代表机构应当将年度工作报告在登记管理机关统一的网站上向社会公开。 Foreign NGO representative offices shall publicly disclose their annual work reports on the registration management organs' unified website. 第三十二条中国境内任何单位和个人不得接受未登记代表机构、开展临时活动未经备案的境外非政府组织的委托、资助，代理或者变相代理境外非政府组织在中国境内开展活动。 Article 32: Units and individuals in mainland China must not accept retention, funding, agency, or covert agency to carry out foreign NGOs' activities in mainland China, from foreign NGOs that have not registered a representative office or filed to carry out temporary activities. 第三十三条国家保障和支持境外非政府组织在中国境内依法开展活动。 各级人民政府有关部门应当为境外非政府组织在中国境内依法开展活动提供必要的便利和服务。 Article 33: The State safeguards and supports foreign NGOs in the lawfully carrying out of activities within mainland China. Relevant departments of all levels of people’s governments shall provide necessary facilitation and services for foreign NGOs to lawfully carry out activities in mainland China. 第三十四条国务院公安部门和省级人民政府公安机关会同有关部门制定境外非政府组织活动领域和项目目录，公布业务主管单位名录，为境外非政府组织开展活动提供指引。 Article 34: The public security department under the State Council and public security organs of provincial level people's governments, together with relevant departments, will draft catalogs of foreign NGOs' activity areas and projects, and publish a list of professional supervisory units, in order to provide guidance to overseas NGOs carrying out activities. 第三十五条 县级以上人民政府有关部门应当依法为境外非政府组织提供政策咨询、活动指导服务。 Article 35: Relevant people's government organs at the county level or above shall provide foreign NGOs with policy consultation and activity guidance services in accordance with law. 登记管理机关应当通过统一的网站，公布境外非政府组织申请设立代表机构以及开展临时活动备案的程序，供境外非政府组织查询。 Registration management organs shall use a unified website to publish information on the procedures for applying to establish a representative office or for filing temporary activities, for foreign NGOs' reference. 第三十六条 境外非政府组织代表机构依法享受税收优惠等政策。 Article 36: Foreign NGO representative offices enjoy tax and other policy benefits in accordance with law. 第三十七条 对境外非政府组织代表机构进行年度检查不得收取费用。 Article 37: Fees must not be collected for conducting annual inspections of foreign NGO representative offices. 第三十八条 境外非政府组织代表机构首席代表和代表中的境外人员，可以凭登记证书、代表证明文件等依法办理就业等工作手续。 Article 38: The chief representative and other representatives that are foreign employees of foreign NGO representative offices may use the organization's registration certificate, documents proving the representative's status, and other materials to process employment and work permits in accordance with law. 第三十九条 境外非政府组织在中国境内开展活动，应当接受公安机关、有关部门和业务主管单位的监督管理。 Article 39: Foreign NGOs carrying out activities within mainland China shall accept supervision and management by the public security organs, relevant departments, and professional supervisory units. 第四十条业务主管单位负责对境外非政府组织设立代表机构、变更登记事项、年度工作报告提出意见，指导、监督境外非政府组织及其代表机构依法开展活动，协助公安机关等部门查处境外非政府组织及其代表机构的违法行为。 Article 40:Professional supervisory units are responsible for submitting comments on foreign NGOs' establishment of representative offices, modification of registration matters, and annual work reports; for guiding and supervising the lawful carrying out of activities by foreign NGOs and their representative offices; and assisting the public security organs and other departments in investigating and handling illegal conduct by foreign NGOs and their representative offices. 第四十一条公安机关负责境外非政府组织代表机构的登记、年度检查，境外非政府组织临时活动的备案，对境外非政府组织及其代表机构的违法行为进行查处。 Article 41: Public security organs are responsible for the registration of foreign NGO representative offices, annual inspections, and filing of temporary activities by foreign NGOs; and for the investigation and handling of illegal conduct by foreign NGOs and their representative offices. （五）查封或者扣押涉嫌违法活动的场所、设施或者财物。 (5) Seal or seize venues, facilities, or assets suspected of being involved in illegal activities. 第四十二条公安机关可以查询与被调查事件有关的单位和个人的银行账户，有关金融机构、金融监督管理机构应当予以配合。 对涉嫌违法活动的银行账户资金，经设区的市级以上人民政府公安机关负责人批准，可以提请人民法院依法冻结；对涉嫌犯罪的银行账户资金，依照《中华人民共和国刑事诉讼法》的规定采取冻结措施。 Article 42: Public security organs may make inquiries into bank accounts of units or individuals related to the matter being investigated, and related financial institutions and financial oversight and management organizations shall cooperate. With approval of the responsible party for public security organs of people's governments at the districted-city level or above, people's courts may be requested to freeze bank account funds related to suspected crimes in accordance with provisions on employing freezing measures in the Criminal Procedure Law of the People's Republic of China. 第四十三条国家安全、外交外事、财政、金融监督管理、海关、税务、外国专家等部门按照各自职责对境外非政府组织及其代表机构依法实施监督管理。 Article 43:Departments such as those for national security, foreign affairs, finance, financial oversight, customs, tax, and foreign experts are to conduct oversight and management of foreign NGOs and their representative offices in accordance with the scope of their duties and relevant laws. 第四十四条国务院反洗钱行政主管部门依法对境外非政府组织代表机构、中方合作单位以及接受境外非政府组织资金的中国境内单位和个人开立、使用银行账户过程中遵守反洗钱和反恐怖主义融资法律规定的情况进行监督管理。 Article 44:The administrative department for countering money-laundering under the State Council lawfully conducts supervision and management of the opening and use of bank accounts by foreign NGOs, Chinese Partner Units, and also of units or individuals in mainland China who receive funds from foreign NGOs, for compliance with legal provisions against money-laundering and against financing terrorism. （六）拒不接受或者不按照规定接受监督检查的。 (6) Where supervision and inspections were refused or not accepted as provided. 境外非政府组织代表机构、开展临时活动的境外非政府组织或者中方合作单位以提供虚假材料等非法手段，取得代表机构登记证书或者进行临时活动备案的，或者有伪造、变造、买卖、出租、出借登记证书、印章行为的，依照前款规定处罚。 Where the representative offices of foreign NGOs, foreign NGOs' carrying out temporary activities, or Chinese Partner Units use illegal methods such as providing false information to obtain registration certificates for representative offices or file for carrying out temporary activities; or where there are acts of counterfeiting, altering, buying and selling, renting, or loaning registration certificates or seals, punishment is given in accordance with the provisions of the preceding paragraph. （三）境外非政府组织临时活动期限届满或者临时活动被取缔后在中国境内开展活动的； (3) Carrying out activities within mainland China after a foreign NGO's temporary activity period has ended or its temporary activities have been shut down. （四）境外非政府组织未登记代表机构、临时活动未备案，委托、资助中国境内单位和个人在中国境内开展活动的。 (4) Foreign NGOs that have not registered a representative office or filed for temporary activities, retaining or funding units or individuals within mainland China to carry out activities in mainland China. 中国境内单位和个人明知境外非政府组织未登记代表机构、临时活动未备案，与其合作的，或者接受其委托、资助，代理或者变相代理其开展活动、进行项目活动资金收付的，依照前款规定处罚。 Where units and individuals in mainland China clearly know a foreign NGO has not registered or filed for temporary activities, and cooperate with them or accept their retention or funding, or act as their agent or covert agent to carry out activities for them or accept and spend funds for a project, punishment is to be given according to the preceding paragraph. （五）有其他危害国家安全、损害国家利益或者社会公共利益情形的。 (5) Other situations that endanger state security or damage the national or public interest. 境外非政府组织、境外非政府组织代表机构有分裂国家、破坏国家统一、颠覆国家政权等犯罪行为的，由登记管理机关依照前款规定处罚，对直接责任人员依法追究刑事责任。 Where foreign NGOs or foreign NGO representative offices exhibit criminal conduct such as separatism, undermining national unity, or subverting national sovereignty, the registration management organs are to enact punishment in accordance with the provisions of the preceding paragraph, and pursue criminal responsibility of the directly responsible personnel in accordance with law. 第四十八条境外非政府组织、境外非政府组织代表机构违反本法规定被撤销登记、吊销登记证书或者临时活动被取缔的，自被撤销、吊销、取缔之日起五年内，不得在中国境内再设立代表机构或者开展临时活动。 Article 48:Foreign NGOs and foreign NGO representative offices that have been de-registered, had their registration certificate cancelled or had temporary activities shut down for violations of this Law, must not apply again to set up representative offices in mainland China or carry out temporary activities for 5 years from the date of de-registration, cancellation, or shutting down. 未登记代表机构或者临时活动未备案开展活动的境外非政府组织，自活动被取缔之日起五年内，不得在中国境内再设立代表机构或者开展临时活动。 Foreign NGOs that carry out activities without registering representative offices or filing temporary activities must not again set up representative offices or carry out temporary activities in mainland China for 5 years from the date on which activities are shut down. 有本法第四十七条规定情形之一的境外非政府组织，国务院公安部门可以将其列入不受欢迎的名单，不得在中国境内再设立代表机构或者开展临时活动。 Foreign NGOs having any of the circumstances provided for in Article 47 of this Law, may be entered onto an unwelcome list by the public security department under the State Council and must not again establish representative offices or carry out temporary activities within mainland China. 第四十九条境外非政府组织代表机构被责令限期停止活动的，由登记管理机关封存其登记证书、印章和财务凭证。 对被撤销登记、吊销登记证书的，由登记管理机关收缴其登记证书、印章并公告作废。 Article 49: Where foreign NGO representative offices are ordered to temporarily stop activities, registration management organs are to seal their registration certificates, seals, and financial proofs. Where registration certificates have been revoked, the registration management organs will collect their registration certificates and seals and publicly announce them void. 第五十条 境外人员违反本法规定的，有关机关可以依法限期出境、遣送出境或者驱逐出境。 Article 50: When foreign persons violate this law, relevant organs may lawfully order them to leave the country within a given period of time, deport them, or expel them. 第五十一条公安机关、有关部门和业务主管单位及其工作人员在境外非政府组织监督管理工作中，不履行职责或者滥用职权、玩忽职守、徇私舞弊的，依法追究法律责任。 Article 51:Where, in performing supervision and management of foreign NGOs, the public security organs, relevant departments, professional supervisory units, or their staffs do not perform their duties or abuse their powers of office, derelict their duties, or use their office to obtain benefits, criminal responsibility will be pursued in accordance with law. 第五十二条 违反本法规定，构成违反治安管理行为的，由公安机关依法给予治安管理处罚；构成犯罪的，依法追究刑事责任。 Article 52: Where violations of provisions of this Law constitute a violation of public security administration, the public security organs will give public security administrative sanctions in accordance with law; where a crime is constituted, criminal responsibility is pursued in accordance with law. 第五十三条境外学校、医院、自然科学和工程技术的研究机构或者学术组织与境内学校、医院、自然科学和工程技术的研究机构或者学术组织开展交流合作，按照国家有关规定办理。 Article 53:Where foreign schools, hospitals, natural science and engineering technology research institutions or academic organizations carry out exchanges or cooperation with mainland Chinese schools, hospitals, natural science and engineering technology research institutions or academic organizations, it is handled according to the relevant national provisions. 前款规定的境外学校、医院、机构和组织在中国境内的活动违反本法第五条规定的，依法追究法律责任。 Where activities carried out within mainland China by foreign schools, hospitals, institutions and organizations specified in the preceding paragraph violate Article 5 of this Law, legal responsibility is pursued in accordance with law. 第五十四条 本法自2017年1月1日起施行。 Article 54: This Law takes effect January 1, 2017. The estimated value for a full translation of this post is $1,119.24 USD at the below-market rate of $.06 per character, with 18,004 characters.